What Makes a Great AdWords Advert? If you are new to Search Marketing it can be difficult to get your head around, but with an almost instant return of investment, it is a digital advertising platform that should be part of your digital marketing strategy. With AdWords or Pay-Per-Click adverts as they are otherwise known you are competing with similar businesses offering the same services and targeting the same keywords as you – so it is imperative that your message stands out and makes the most of the 25 characters for the headline and the 70 characters for the main body copy. 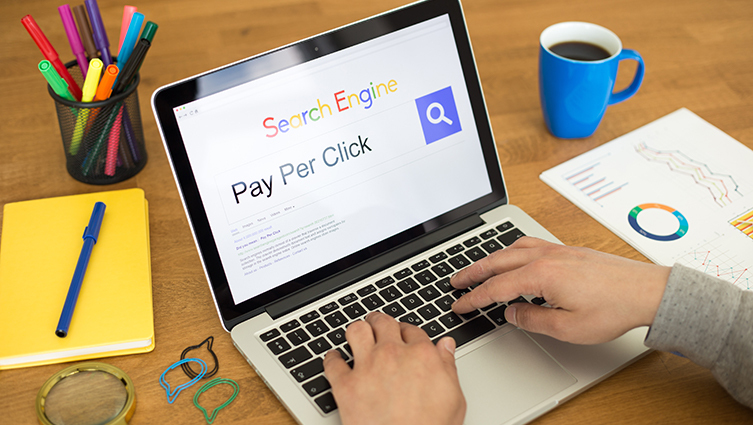 You may have heard the saying, “if something is worth doing it is worth doing well” and this can be applied to your PPC campaign – here are a few tips on what makes a great AdWords advert. AdWords work on the premise of keywords – the words users are likely to type into Google when searching for your product or service, it is important to be exact with your keywords and you should avoid being too general. There tends to be a lot of competition for keywords, so it is always good practice to do your research and regularly review your keywords to ensure they are still relevant. The landing page your advert links to needs to be engaging, informative and easy to navigate. Ensure that your advert links through to a relevant page of your website rather than the homepage, if users have to search for information they are likely to leave. Also it is important to ensure your site is optimised for mobile to avoid losing that all important mobile traffic. You may know what you want users to do when they see your advert, but do they? Adding a call to action such as ‘order online now’ or ‘enquire today’ gives potential customers a nudge into becoming actual customers. If your business operates in a specific geographic location such as the West Midlands, ensure they you are only targeting the West Midlands to avoid wasting your AdWords budget by displaying your adverts to users across the UK. Google AdWords now gives advertisers the option to make their adverts optimised for mobile, it is good practice to do so to avoid missing out on mobile traffic. It is worth mentioning that trends show that many users search for information on their smartphones and later make an enquiry or purchase from their computer, meaning you may notice a lower conversion rate from your mobile adverts. Google now allows you to add an Ad-extension to your advert such as directions or phone number. This lets users call you with one click rather than having to trawl your website for contact details. Worried that your phone will be ringing after hours and calls will be missed? Google have thought of that and allow you to set time restrictions on when the advert will be displayed i.e. during office hours when you are able to man the phone. If you have any questions about PPC or what Blackberry Design could do for your business, get in touch on 01527 517309 or fill in our contact form.